HomeBridge Financial Services announced this morning that it plans to acquire the operating assets of Prospect Mortgage, LLC headquartered in Sherman Oaks, CA. Specifically, HomeBridge is going to get their hands on Prospect’s loan production platform, with the intent of creating a mega mortgage lender. HomeBridge is already a pretty major mortgage player, so combining forces with Prospect should make them a household name…well, that’s probably the hope. HomeBridge expects to be one of the largest non-bank home loan lenders in the nation once the acquisition is completed in January 2017. Together, their combined operation will grow to 250 retail mortgage branches nationwide with around 900 retail loan officers. Additionally, HomeBridge has two separate wholesale operations, HomeBridge Wholesale and REMN Wholesale. Collectively, the entire conglomerate will employ more than 3,000 full-time workers, making it one of the larger mortgage operations nationwide. Prospect Mortgage offers all types of mortgages, including both conventional and FHA, while also specializing in 203(k) renovation loans. In fact, they were the top originator of such loans nationwide as of April. HomeBridge was the second largest 203(k) lender, so together they’ll really be number one. And by that I mean double their nearest competitor. Per the press release, Prospect Mortgage funded nearly $9 billion in home loans in 2015. HomeBridge said it originated around the same amount last year. Interestingly, per HMDA data, Prospect seemed to be the bigger of the two lenders last year. They had $8.5 billion in total volume in 2015, up quite a bit from the $6.4 billion seen a year earlier. Their market share decreased a bit from 0.567% to 0.557% during that time. They did a large amount of FHA lending with such loans accounting for 23% of total volume. Meanwhile, HomeBridge reportedly mustered $7.7 billion in volume, up from $5.8 billion a year earlier. Market share also fell during that period from 0.501% to 0.491%. HomeBridge had an even larger FHA share at 33% of total production. 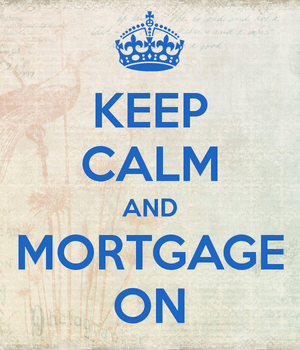 That placed Prospect at #26 in the top 40 mortgage lender list of 2015, and HomeBridge at #30. So perhaps the smaller fish ate the bigger fish…hard to say with different data sources, but they clearly do similar volume. I did a quick back-of-the-envelope calculation and together they would have about 1% total market share based on that HMDA data. It might not sound like a lot, but it would have made them the 11th largest mortgage lender in 2015. And probably a top five non-bank mortgage lender.